Explored with OT and Raddog. 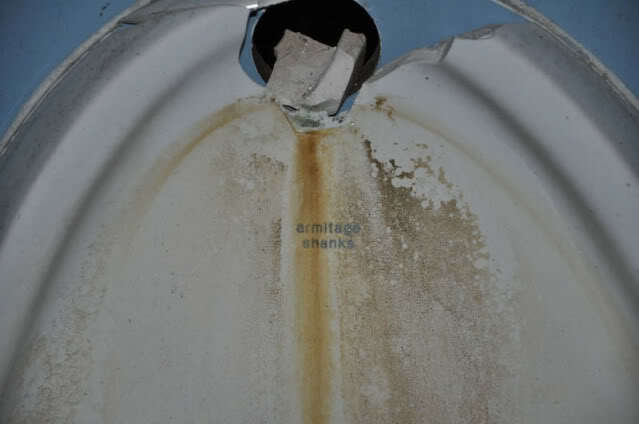 During the 70's Armitage Shanks became the only company left in Scotland manufacturing sanity ware. In 1980 another takeover resulted in the company becoming part of the Blue Circle Industries Group. Subsequent to this takeover and despite promises and assurances from the parent company jobs were lost. In 1989 Barrhead and the surrounding community were shocked by the announcement that the Tubal Works were to close. A strong and vigorous campaign was launched to save jobs, but to no avail. Early in 1992 the final bombshell was dropped with the announcement that the Ceramic Works would close. The successor to the pottery finally closed shortly afterwards. The total number of people made jobless was 326, compared against the workforce in better times which numbered well over a 1000. 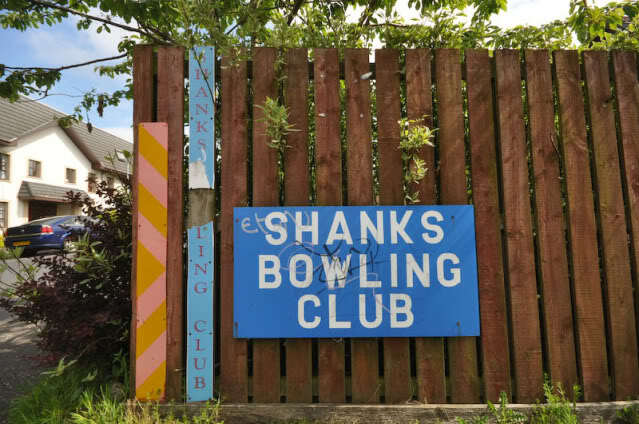 Armitage Shanks continues in England and throughout the whole of the world but the near legendary association of Barrhead and Shanks is now Finished. There was some interest shown by around 100 ex-employees in setting up a business on their own. The parent company has however refused to sell the site to anyone who may manufacture in competition with them. The site has now been taken south. 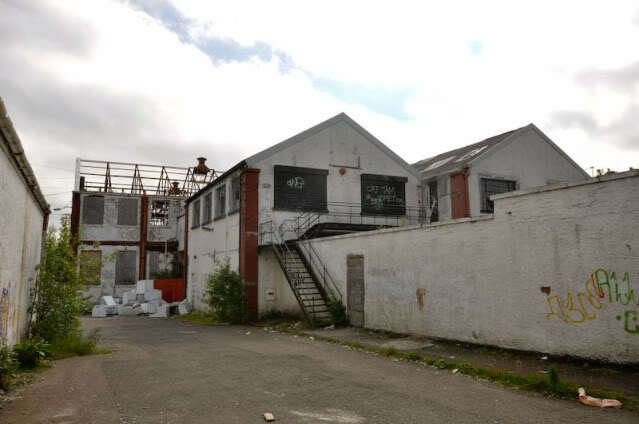 Three months after the doors finally closed at Armitage Shanks last Scottish factory there does not appear to be any great change in Barrhead. 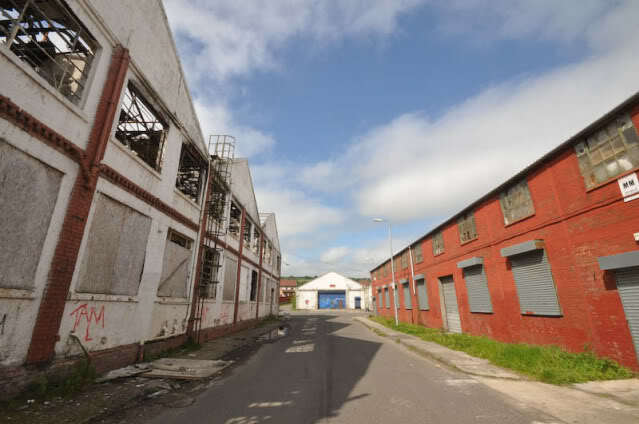 However the loss of over 300 jobs coming close behind the closure of a local carpet factory and on top of the 1989 closure of the Tubal Works has resulted in the community sliding into depression. For several years Barrhead has had a higher than average rate unemployment. 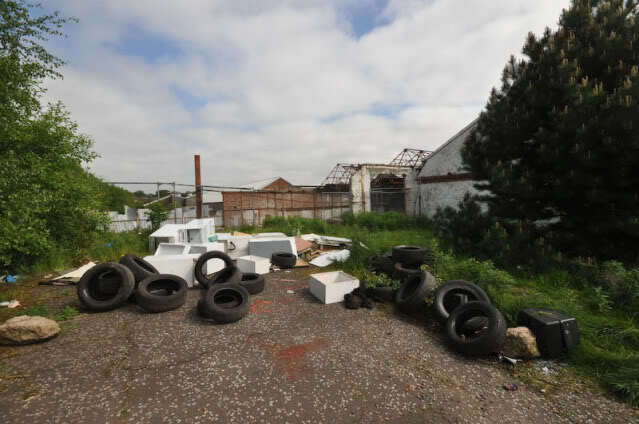 With so any local people employed by the now closed works Barrhead has become an unemployment blackspot. With the loss of so many jobs there has been the resulted loss of spending power within the local community. Already the local Co-Op supermarket has closed and another supermarket at the town center does not appear to get a lot of custom. 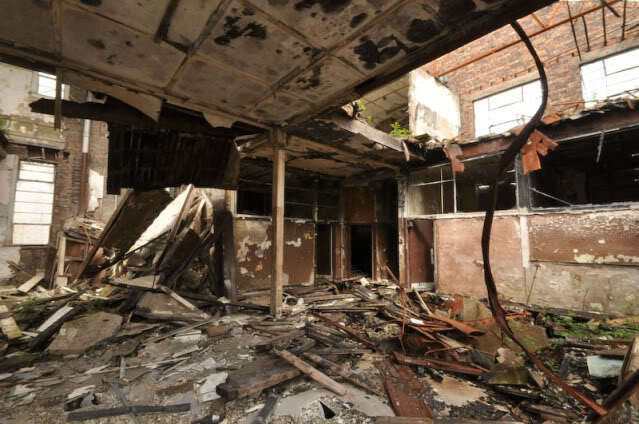 Supermarkets which appear to thrive in depressed areas have appeared. These shops include Food Giant and Shoprite. Shoprite also has a branch at Linwood which is also an unemployment blackspot after the closure of the massive car factory Talbot. A few smaller shops have also closed which sold luxury goods including a small electrical retailer, a flower shop, a butcher's shop, a clothes shop and also an ironmonger's. Other shops which appear to be thrivinghave now appeared and include three charity shops selling second hand goods. Crime appears to have increased in the area and there is a noticeable increase in the drugs culture which hasw resulted in several murders, assaults and robberies. Whether this can be directly attributable to unemployment is debatable but my own personal feeling is that there has been a considerable increase in the area recently. There has been a marked increase in issues of material at Barrhead Library which is highly likely to be due to the extra numbers of people with more free time. In general Barrhead has an air of depression about it. 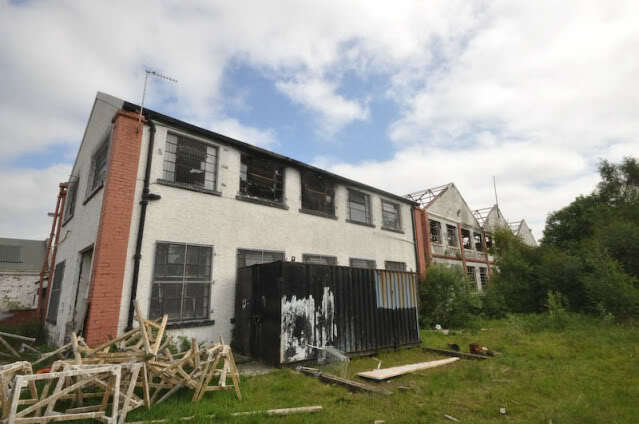 Walking around the area you are struck with the rather sad condition of streets and buildings. People who were born and raised in the area and who have returned to visit have remarked on the changes they see in the town. At the moment there does not appear to be anything to look forward to. Although the 100 or so ex-Shanks employees are attempting to start up on their own it is highly unlikely that many jobs will be created. 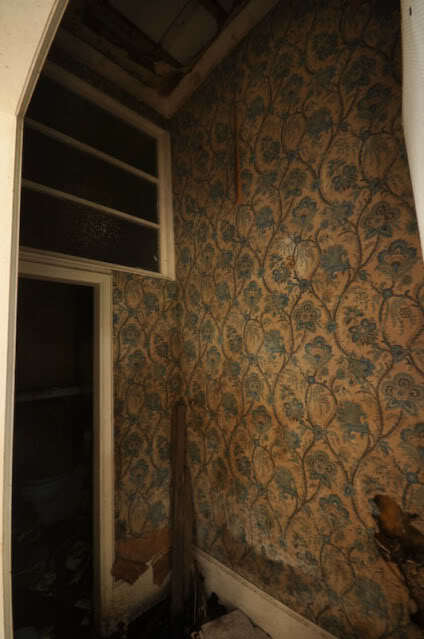 Apparently much of the archive material belonging to the company was destroyed whether by accident or design we will never know. 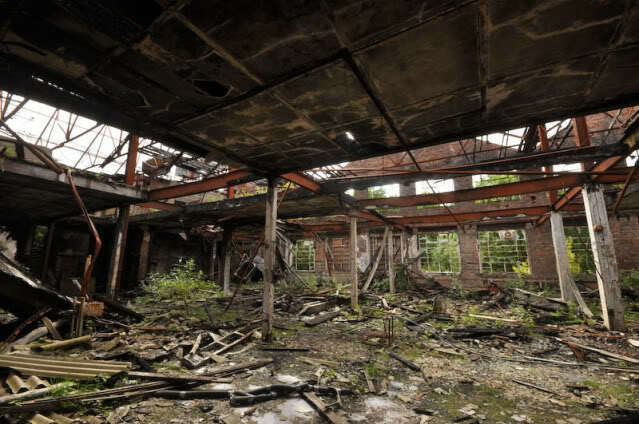 This is the very sorry remains of the Shanks works in Barrhead. I have never seen such a filthy, trashed fetted pit of dispair. Still, at least my curiosity is satisfied!